Money Market Accounts vs Savings Accounts: Which Is A Better Choice? The Federal Reserve has been increasing interest rates as the economy has been getting stronger. Yet the rates on your savings account at the local brick and mortar bank is still holding steady at a fraction of a percentage. You go online and see online savings and money market accounts offering rates over 150 times higher. You start thinking about all the extra money you could be earning from your hard-earned cash, but should you go with a savings account or a money market account? Which is better? What’s the difference between the two accounts? Wonder no more. Here is everything you need to know about the money market account. A money market account (MMA) is a type of savings account that typically pays higher interest rates while offering additional ways of making withdrawals. To get the higher rates, banks may require a higher minimum opening deposit or higher minimum account balance. Like regular savings accounts, a money market account is limited to six withdrawals a month. Depending on the bank, the MMA may offer check writing capabilities, a debit or ATM card, or a way to make money payments to people like CIT Bank’s People Pay. Similar to other deposit products offered by banks and credit unions, deposits in money market accounts are FDIC or NCUA insured for up to $250,000 per depositor. Do Money Market Accounts Always Earn More Interest? Not always. How much interest a savings account or MMA pays varies from bank to bank. If you go to Bankrate, you will see that savings accounts and money market accounts are about neck and neck on the amount of interest they are offering. 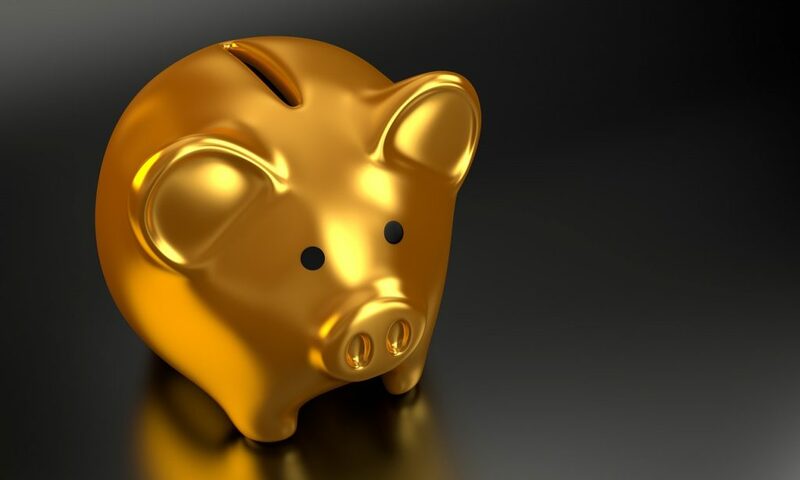 Depending on the bank, money market accounts may actually have a lower interest rate than a savings account because of the additional ways you can take money out of the money market account. The banks want people to deposit and keep the funds with them so they can use the money to make loans. Having less payment options is actually a benefit for the bank. While money market deposit accounts and money market funds both have similar sounding names, they are not the same thing. Money market funds are mutual funds with a net asset value (NAV) of $1. Interest rates for money market funds tend to be tied to short-term securities such as US Treasury bills, government bonds, or commercial paper such as corporate debt. Like MMAs, the money in money market funds are highly liquid and are considered to be as safe as bank deposits. The major difference is money market funds are regulated by the Securities and Exchange Commission (SEC) and are not FDIC-insured. This means there is a small chance you may lose money in a money market fund if the NAV drops below $1. Money Market Account or High-Yield Savings Account. Which Is Better? When choosing which type of account to park your savings, both MMAs and savings accounts are similar enough that it does not matter which one you go with. The only real difference between the two accounts is the more flexible ways to access your funds for the money market account. Both money market and high-yield savings accounts are good places to keep your emergency fund since they offer higher rates and the funds are easily accessible. For online accounts, it usually takes a couple days to complete an electronic ACH transfer to your checking account at another bank. One benefit of funds in online bank accounts being available after a few days but not instantly accessible is it helps prevent impulse purchases. Should you have a checking account with the same bank where you have your money market deposit account, your money transfers will be instant and straightforward. When looking at high-yield bank accounts, whether it is online or at traditional banks, there are several important things to consider. For most people, the first thing they will look at is the interest rate that is being offered by the bank. The higher the rate, the more your money will be working for you. Minimum deposits – Do you have enough money to meet the initial account opening amount or to earn the advertised rates? Maintenance charges – Free is always better. After all, the bank is using your deposits to make more money. If a bank charges monthly fees, is the interest rate high enough to offset that fee if you had gone with the next best competitor? Minimum balance requirements – Will you be charged any fees if your balance drops below a certain amount? Will you earn less interest? Account closure fee – Will the bank charge you anything if you one day needed to close the account? If a minimum balance isn’t required, you can avoid this fee by keeping the account open with a zero balance forever. Competitive interest rates – Does the bank stay competitive with other banks’ rates? You don’t want to go through all the trouble of opening an account and transferring in money only to see them never increase their rates if interest rates are rising. I know of one bank that creates new online subsidiaries to gain new customers then drops the rates after hitting their numbers. Easy withdrawals – Sometimes you need your money. You don’t want to deposit $100,000 and then find out you are only allowed to withdraw a maximum of $20,000 a month. Think of money market accounts as a hybrid of a checking and savings account. You can get rates that are as high or higher than a regular savings account along with some of the flexibilities of checking accounts such as checks writing, debit card access, and even online bill pay. And similar to savings accounts, money market savings accounts are limited to six outgoing transfers per monthly statement cycle. Thanks to FDIC insurance, deposits into a money market account are perfectly safe. Have you opened an money market or savings account online for the interest? Which bank do you recommend?